Ladies and gentlemen, it’s a great honor to once again address this distinguished forum. But this year, in these early days of 2017, there’s a palpable uncertainty about the state of our world. For the members of the media in the audience, I want to make it clear that I am not referring to the imminent transition of power in my country. In two days, there will be a new President of the United States, but the challenges we face and the choices we must make as an international community do not hinge exclusively on Washington’s leadership. Whether we reinforce the ties that bind us, or whether we unravel under current pressures—those choices must be made in every nation, and they will determine what kind of world we leave to our children. For the past seven decades, the choices we have made—particularly the United States and our Allies in Europe—have steered our world down a clear path. After World War II, we drew a line under centuries of conflict and took steps to bend the arc of history in a more just direction. · Instead of resigning ourselves to ceaseless wars, we built institutions and alliances to advance our shared security. · Instead of punishing former enemies, we invested billions in helping them rebuild. · Instead of sorting the world into winners and losers, we outlined universal values that defined a better future for all our children. Our careful attention to building and sustaining a liberal international order—with the United States and Europe at its core—was the bedrock of the success the world enjoyed in the second half of the 20th Century. An era of expanding liberty. Unprecedented economic growth that lifted millions out of poverty. A community of democracies that—to this day—serves as the fulcrum for our common security and for our capacity to address the world’s most pressing challenges. Strengthening these values—values that have served our community of nations so well, for so long—is paramount to retaining the position of leadership Western nations enjoy and preserving the progress we have made together. But in recent years, it has become evident that the consensus upholding this system is facing incredible and increasing pressures—from both within and without. Today, I’d like to speak to the sources of those pressures, and about why it is imperative that we act urgently to defend the liberal international order. Here in this exclusive Alpine tower, where CEOs of multinational corporations rub elbows with leaders of nations, it is easy to embrace the intellectual benefits of a more open and integrated world. But it is at our own peril that we ignore or dismiss the legitimate fears and anxieties that exist in communities all across the developed world. The concern mothers and fathers feel about losing the factory job that has always allowed them to provide for their families. Parents who don’t believe that they can give their children a better life than the one they have. These are the pressures that are undermining support for the liberal international order from the inside. Globalization has not been an unalloyed good. It has deepened the rift between those racing ahead at the top and those struggling to hang on in the middle, or falling to the bottom. 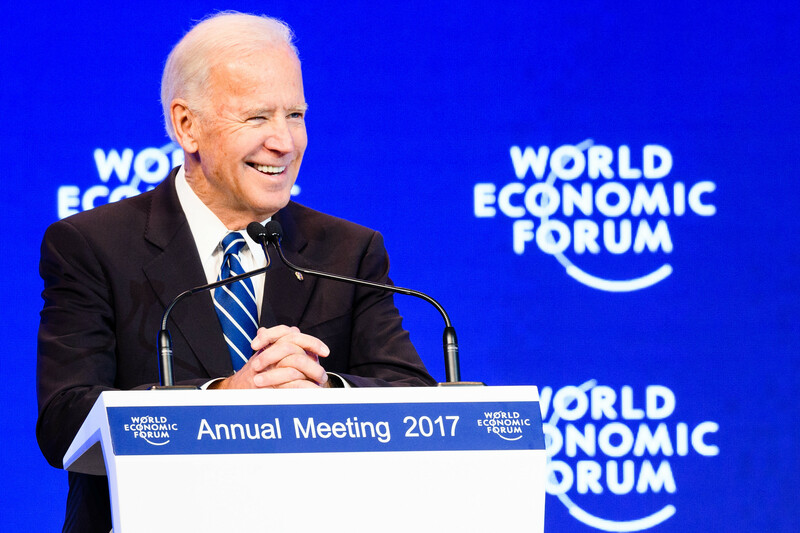 One year ago, I spoke here in Davos about the challenges we face in mastering this fourth industrial revolution—about how we can ensure that the benefits and the burdens of globalization and digitization are shared more equitably. In my country, there used to be a basic bargain, embraced by both major political parties. It was something everyone agreed on. If you contributed to the success of the enterprise, you shared in the profits. Today that bargain is fractured. Advanced technology has divorced productivity from labor—meaning we’re making more than ever, but with fewer workers. There’s a shrinking demand for low-skill laborers, while highly-educated workers are getting paid more and more—contributing to rising inequality. International trade and greater economic integration has lifted millions of people in the developing world out of abject poverty—improving education, extending life expectancies, opening new opportunities. Standards of living are still well below middle class expectations in the United States and Europe, but the change is real. Meanwhile, for many communities in the developed world that have long depended on manufacturing, the opposite is true. Their relative standard of living has declined. They feel shut out of opportunities. And their economic security feels jeopardized. Taken together, these forces are effectively hollowing out the middle class—the traditional engine of economic growth and social stability in Western nations. We cannot undo the changes technology has wrought in our world—nor should we try. But we can and we must take action to mitigate the economic trends that are stoking unrest in so many advanced economies and undermining people’s basic sense of dignity. Our goal should be a world where everyone’s standard of living can rise together. · increasing cognitive capabilities through access to education and job training. · Ensuring basic protections for workers. · Expanding access to capital. · And implementing a progressive, equitable tax system where everyone pays their fair share. Compounding these economic worries are people’s fears about the very real security risks we face. If you look at the long sweep of history, or even just the trend lines in wars and other incidents of large-scale violence over the past 50, 60, 70 years—as a practical matter, we are probably safer than ever. Daily images of violence and unrest from all over the world are shared directly on our televisions and smart phones—images we rarely would have seen in a pre-digital age. It’s fostered a feeling of perpetual chaos—of being overrun by outside forces. · empowering ordinary citizens to challenge injustice and hold their governments accountable. But they have also given hateful individuals a megaphone to spread their virulent, extremist ideologies. Radical jihadists not only recruit and find haven in the ungoverned desserts of Iraq and Syria—they do the same in the ungoverned spaces of the Internet. Fears about unrelenting migration mount as people continue to flee violence and deprivation in their homelands. And in the wake of these understandable fears, we have seen a series of alarming responses. Popular movements on both the left and the right have demonstrated a dangerous willingness to revert to political small-mindedness—to the same nationalist, protectionist, and isolationist agendas that led the world to consume itself in war during in the last century. As we have seen time and again throughout history, demagogues and autocrats have emerged—seeking to capitalize on people’s insecurities. In this case, using Islamophobic, anti-Semitic, or xenophobic rhetoric to stoke fear, sow division, and advance their own narrow agendas. This is a politics at odds with our values and with the vision that built—and sustains—the liberal international order. The impulse to hunker down, shut the gates, build walls, and exit at this moment is precisely the wrong answer. It offers a false sense of security in an interconnected world. It will not resolve the root causes of these fears—and it risks eroding from the inside out the foundations of the very system that spawned the West’s historically unprecedented success. We need to tap into the—big-heartedness that conceived a Marshall Plan, the foresight that planned a Bretton Woods, the audacity that proposed a United Nations. We cannot rout fear with retrenchment. Rather, this is the moment to lead boldly and recommit ourselves to our common principles—which remain essential to my nation, and to liberal democracies the world over. Of course, there are those who do not share this vision for the world. Those who wish to dissolve the community of democracies and our supporting institutions in favor of a more parochial international order—where power rules and spheres of influence lock in divides among nations. We hear these voices in the West—but the greatest threats on this front spring from the distinct illiberalism of external actors who equate their success with a fracturing of the liberal international order. We see this in Asia and the Middle East—where China and Iran would clearly prefer a world in which they hold sway in their regions. But I will not mince words. This movement is principally led by Russia. · return to a politics defined by spheres of influence. We see it in their aggression against their neighbors. · Sending so-called “little green men” across the border to stir violence and strains of separatism in Ukraine. · Using energy as a weapon—cutting off gas supplies mid-winter, raising prices to manipulate nations to act in Russia’s interests. · Using corruption to empower oligarchs and coerce politicians. · Injecting doubt and political agitation into democratic systems. · Strengthening illiberal factions, on both the left and the right, that seek to roll back decades of progress from within our systems. We even saw it in the cyber intrusions against political parties and individuals in the United States—which our intelligence community has determined with high confidence were specifically motivated to influence our elections. But it’s not only the United States that has been targeted. Europe has seen the same kind of attacks in the past. And with many countries in Europe slated to hold elections this year, we should expect further attempts by Russia to meddle in the democratic process. Again, their purpose is clear—to collapse the liberal international order. Simply put, Russia has a different vision for the future, which they are pursuing across the board. They seek a return to a world where the strong impose their will through military might, corruption, or criminality—while weaker neighbors fall in line. And from the first moments of our Administration—even as we sought a reset with then-President Medvedev—President Obama and I have made it clear that this is no way for nations to behave in the 21st Century. That’s been our position throughout the past eight years, and it is a position we must all continue championing in the years ahead. The United States has not always been the perfect guardian of our order. We have not always lived up to our own values—and some of our past missteps provided fodder for the forces of illiberalism. But President Obama and I have worked consistently over the past eight years to lead not only by the example of our power—but by the power of our example. And this is the challenge that will—by necessity—define the foreign policy agendas of all our nations as we move forward. 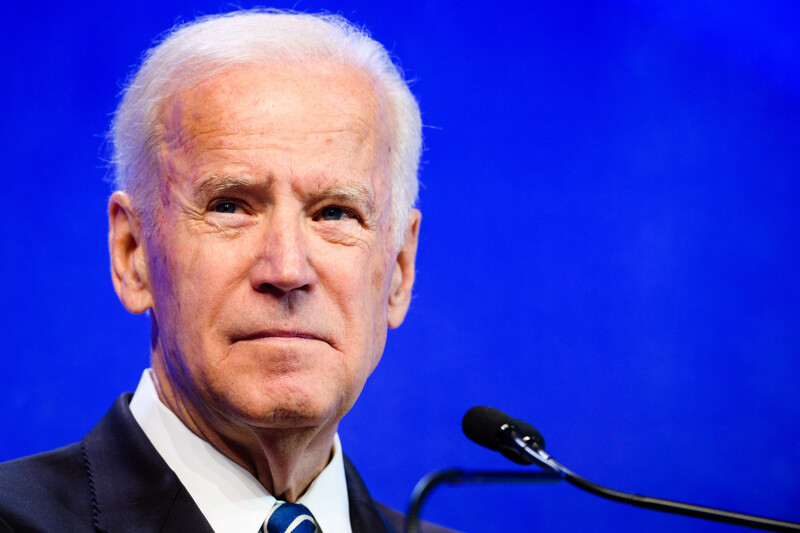 So although I will only be the Vice President of the United States for 48 more hours—I am here today to issue a call to action. We cannot wait for others to write the future they hope to see. The United States and Europe must lead the fight to defend those values that have brought us to where we are today. Fight to create more equitable and more inclusive growth for people at every level. Fight for democracy wherever it is under threat—be it at home or abroad. Fight to lift up the forces of inclusivity while opposing intolerance in all its guises. Fight the urge to embrace isolationism and protectionism. Fight back against the dangerous proposition that facts no longer matter. That the truth holds no inherent power in a world where propagandists, demagogues, and extremists carry sway. To win this fight, we must continue to invest in our democratic alliances. 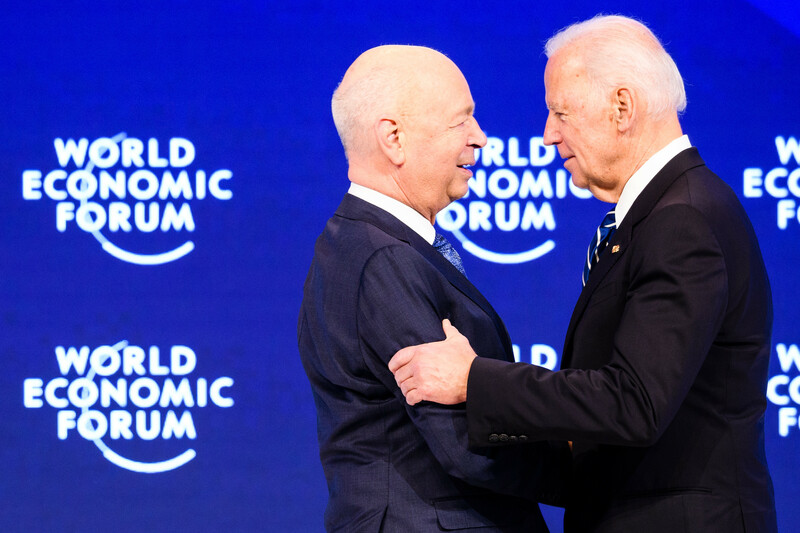 As it as has been for seven decades, the unity of our transatlantic connection is essential to addressing global challenges. Defending the liberal international order requires that we resist the forces of European disintegration and maintain our long-standing insistence on a Europe whole, free and at peace. That means fighting for the European Union—one of the most vibrant and consequential institutions on earth. That means keeping open the door for membership in European and transatlantic institutions to those states on Europe’s eastern edge—where people in places like the Balkans and Ukraine continue to strive to be part of the incredible undertaking that is the European Union. The EU has been an indispensable partner to the United States—and as the EU and the UK begin to navigate a new relationship, it remains profoundly in America’s interest to maintain our close relationships with both parties. All of our peoples are safer when we work together. We must continue to stand up for those basic norms of modern nations—the principles of territorial integrity, freedom of navigation, and national sovereignty. · combat misinformation to prevent outsiders from perverting our democratic processes. And the single greatest bulwark for our transatlantic partnership is the unshakable commitment of the United States to all our NATO Allies. That can never be called into question. And we must continue to stand with Ukraine as they resist Russia’s acts of aggression and pursue their European path. In two days, the United States will engage in the act that has defined our exceptional democracy for more than 200 years—the peaceful transition of power from one leader, and one political party, to another. And it is my hope and expectation that the next President and Vice President, and our leaders in Congress, will ensure that the United States continues to fulfill our historic responsibility as the indispensable nation. But we have never been able to lead alone—not after World War II, not during the depths of the Cold War, and not today. The United States, our NATO allies, all the nations of Europe—we are in this together. As the oldest and the strongest democracies in the world, we have a responsibility to beat back the challenges at our door. We must never forget how we got here. Or take for granted that our success will continue. 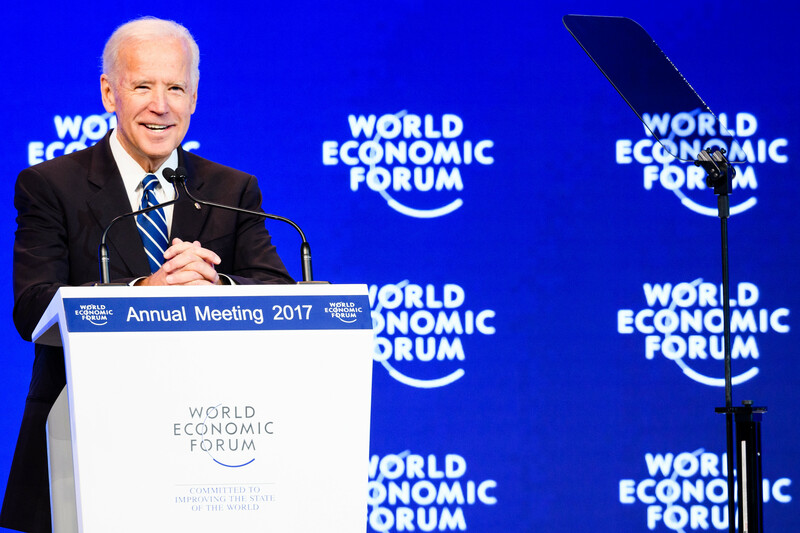 It is only by championing the liberal international order—by continuing to invest in our security, reaffirming our shared values, and expanding the cause of liberty around the world—that will retain our position of leadership. Because if we don’t fight for our values, no one else will. The idea of Europe whole, free, and at peace—in my opinion—constitutes one of the most audacious and consequential visions of the past century. Europe could reinvent itself as an integrated community—one committed to political solidarity, the free flow of goods and people, and a solemn obligation to collective defense—and succeed in achieving it. The United States believed in it. Peoples across Europe believed in it—aspired to it. The success of the European enterprise was essential to America’s security in the 20th Century—and it remains so today. The Atlantic Alliance is still the bedrock of addressing so many 21st Century threats—from terrorism to the spread of diseases like Ebola to climate change. You’ve heard me make this case for four decades. But I am not alone in this belief. America’s commitment to Europe and NATO is thoroughly bipartisan. That’s the same sentiment I expressed two days ago, when I made my sixth trip to Ukraine as Vice President. History has proven that the defense of free nations in Europe has always been America’s fight—and the foundation of our security. Throughout more than four decades of incredibly divisive foreign policy debates, there has always been a consensus about the value of the transatlantic relationship. And as I re-enter private life, I want to assure you today that I will stand with you as you carry this fight forward. I will continue to use my voice and my power as a citizen—doing whatever I can to keep our transatlantic alliance strong and vibrant—because our common future depends upon it.